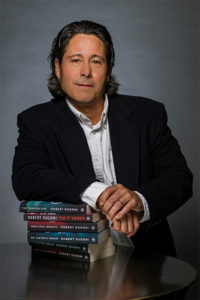 In this issue of the Blood-Letter: a preview of our September 2017 Bloody Thursday guest Robert Dugoni, plus a new event venue, awards news and more! Please join us at our new meeting place, TaborSpace, 5441 SE Belmont St., Portland, Oregon 97215 in the Copeland Commons room. The event is free and open to the public. A reception begins at 7:00 pm, followed by our program at 7:30 pm. 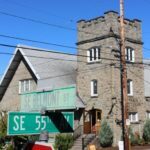 We will be starting the new Friends of Mystery season in a new venue: TaborSpace, in southeast Portland (5441 SE Belmont Street, Portland, Oregon 97215). We hope this venue will be more convenient, with parking on site. We will also be going back to our refreshment format (minus the wine), and for the first meeting there will be a cake in honor of our Spotted Owl award winner, Robert Dugoni. We hope you will be able to join us for a “mysterious” evening. These awards were presented at the Thrillerfest Awards Banquet, July 1, 2017. Forensic Footprints: Detective Ed Adach of the Toronto Police Forensic Identification Services presents slides and a talk on footprints that led to solved crimes. Need For Speed: Drawing parallels between racing toward a finish line and a looming deadline. Heroes and Antiheroes: Are true heroes possible even in fiction? Do we need them? Mysterious Collaborations: Not your ordinary collaboration situations. East v West: An American panel with authors setting their work in either side of the contiguous states. Readers Recommend: Some dedicated mystery readers talk about faves. There is a scheduled half hour before the next set of panels, so that you can get books autographed by the members of the panels you’ve just seen. Then it’s on to the next set of panels. On Thursday evening there is an opening reception, and the Barry, Derringer and McCavity Awards are presented. After playing pub games from 9:30 to 11:00 pm, it’s time to get some sleep so you can be ready for Friday’s activities. “Three years ago, Madison Culver disappeared when her family was choosing a Christmas tree in Oregon’s Skookum National Forest. She would be eight years old now — if she has survived. 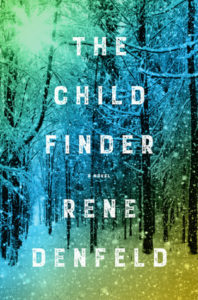 Desperate to find their beloved daughter, the Culvers turn to Naomi, a private investigator with an uncanny talent for locating the lost and missing. 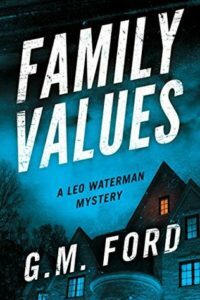 Known to the police and a select group of parents as “the child finder,” Naomi is the Culvers’ last hope. Naomi’s methodical search takes her deep into the icy, mysterious forest in the Pacific Northwest, and into her own fragmented past. She understands children like Madison because once upon a time, she, too, was a lost girl. “Returning to Seattle after a business trip, retired PI Leo Waterman is shocked to find his girlfriend, Rebecca Duvall, unconscious on the bathroom floor, her house filled with gas. Officials believe it was a suicide attempt in the wake of a humiliating scandal. Under investigation for dereliction of duty, she’d been suspended from her job as medical examiner for King County. Leo knows Rebecca too well — and is determined to prove her innocence and clear her name. Most important, he wants to find out who tried to kill her. 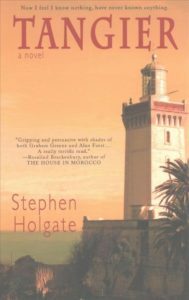 “Tangier tells two parallel stories: one a mystery and the other a spy story, set fifty years apart and told in a series of alternating sections. In the first, we follow Christopher Chaffee, a disgraced Washington power broker whose father, a French diplomat, died in a Vichy prison in 1944 — or so he had always believed until a letter received decades after it was posted, upends his life. “Before he retired, J.P. Beaumont had looked forward to having his days to himself and spending quality time with his busy wife, Mel, Bellingham’s chief of police, and his two grown children. But too much free time doesn’t suit a man used to brushing close to danger. Beau wants to do something useful — a wish that is soon fulfilled in spades. 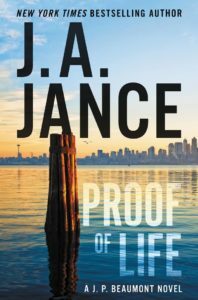 When his longtime nemesis, retired Seattle crime reporter Maxwell Cole, dies in what’s officially deemed to be an accidental fire, Beau is astonished to be dragged into the investigation at the request of none other than the deceased victim himself. On opposite sides of the homicide coin, there’d been bad blood between the two men for years. In the process, Beau learns that just because a long-ago case was solved doesn’t mean it’s over.